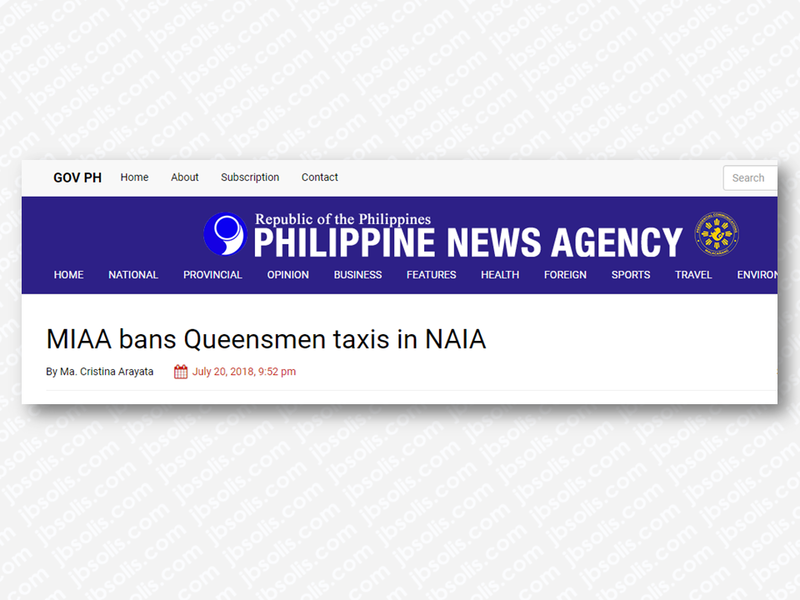 MIAA General Manager Ed Monreal warned that should negative reports involving white taxis persist, he will be imposing a ban on them and they will not be allowed to enter and pick-up passengers around Ninoy Aquino International Airport (NAIA). 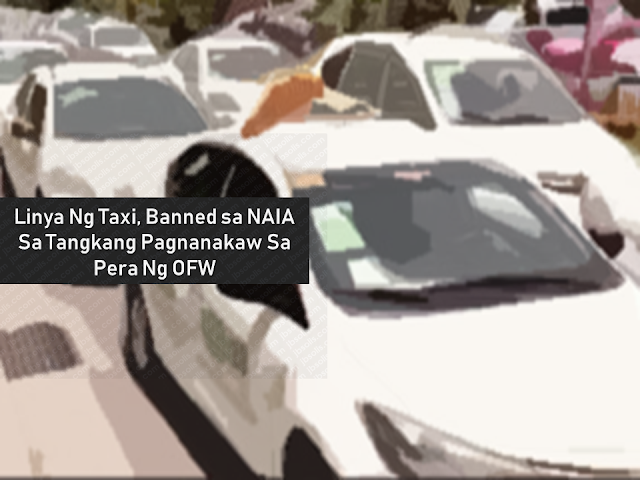 After one of their drivers attempted to run away with the bag of an overseas Filipino worker’s (OFW) containing cash and valuables amounting to Php60,000, the whole fleet of the taxi line Queensmen has been banned from picking up passengers at the Ninoy Aquino International Airport (NAIA). The ban is confirmed by an official from the Manila International Airport Authority (MIAA). On July 16, OFW Catalina Prado, a laser technician from Oman, arrived at NAIA and rode a white taxi to Muntinlupa City, driven by Rodel Ormillo. However, the OFW and the taxi driver did not agree about Php1,700 fixed fare. The driver agreed to drop the OFW to transfer to another taxi. While unloading her bags, Prado noticed that a black backpack containing her cash and belongings is missing. She immediately ran towards to taxi but the driver sped away. After reporting about the missing bag to the Manila International Airport Authority (MIAA) Intelligence and Investigation Division (IID), the Airport Police were able to locate Ormillo somewhere in San Isidro, Rizal but he denied taking the bag but later admitted that he left the bag in a friend’s house. Ormillo is now facing robbery charges before the Pasay City’s Prosecutor’s office. Prado commended MIAA officials for helping her retrieve her belongings.